The Super Mario Bros. Collector's Edition of Monopoly allows players to buy, sell and trade locations from the eight worlds featured in the classic 8-bit version of the 1985 video game! 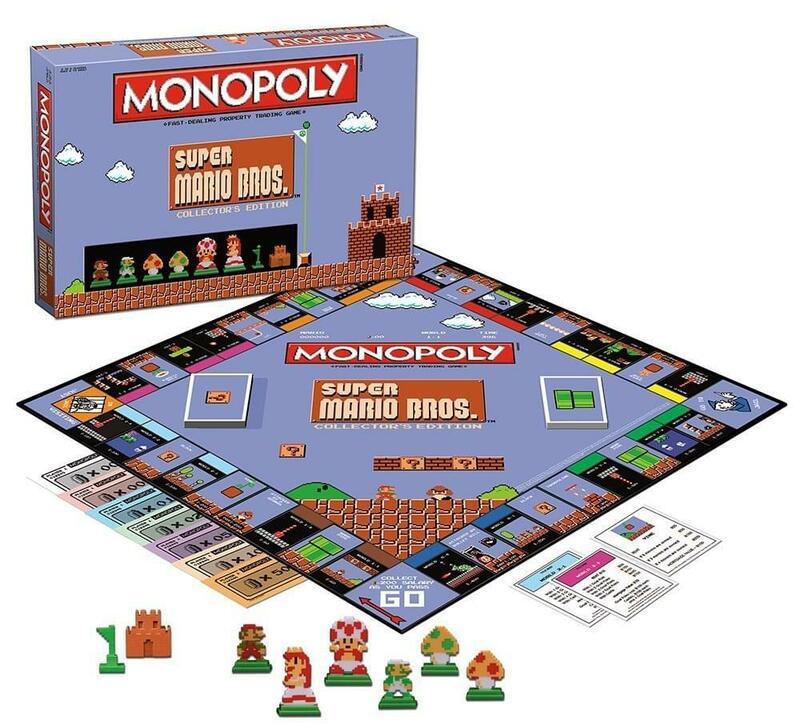 Custom 8-bit styled game pieces complete this 8-bit classic styled Monopoly game with an original Super Mario Bros. twist. 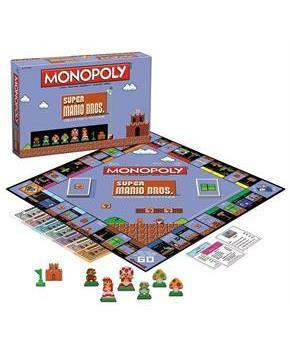 Includes 6 custom 8-bit styled tokens include: Mario, Luigi, Princess peach, Toad, Super mushroom and 1-up mushroom. Custom goal poles replace traditional houses! Custom castles replace traditional hotels! For 2 to 6 players. This item can only be shipped to North America - No exceptions! The Super Mario Bros. Collector's Edition of Monopoly allows players to buy, sell and trade locations from the eight worlds featured in the classic 8-bit version of the 1985 video game! Custom 8-bit styled game pieces complete this 8-bit classic styled Monopoly game with an original Super Mario Bros. twist. Includes 6 custom 8-bit styled tokens include: Mario, Luigi, Princess peach, Toad, Super mushroom and 1-up mushroom. Custom goal poles replace traditional houses! Custom castles replace traditional hotels! Officially Licensed. For 2 to 6 players.